With a stay at Pousada Vila da Neve in Gramado, you'll be a 1-minute drive from Snowland Park and 9 minutes from Mini Mundo. This pousada is 0.3 mi (0.5 km) from Ravanello Winery and 1.5 mi (2.4 km) from Gramado Mine. Take advantage of the pousada's room service (during limited hours). A complimentary buffet breakfast is served daily from 7:30 AM to 10 AM. Take advantage of the pousada's room service (during limited hours). A complimentary buffet breakfast is served daily from 7 AM to 9 AM. A complimentary hot/cold buffet breakfast is served daily from 7:30 AM to 10 AM. 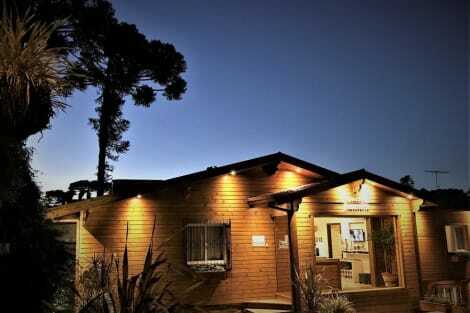 This cosy hotel is situated in Gramado. Customers will not be bothered during their stay, as this is not a pet-friendly establishment.